To represent information in multiple formats and media. 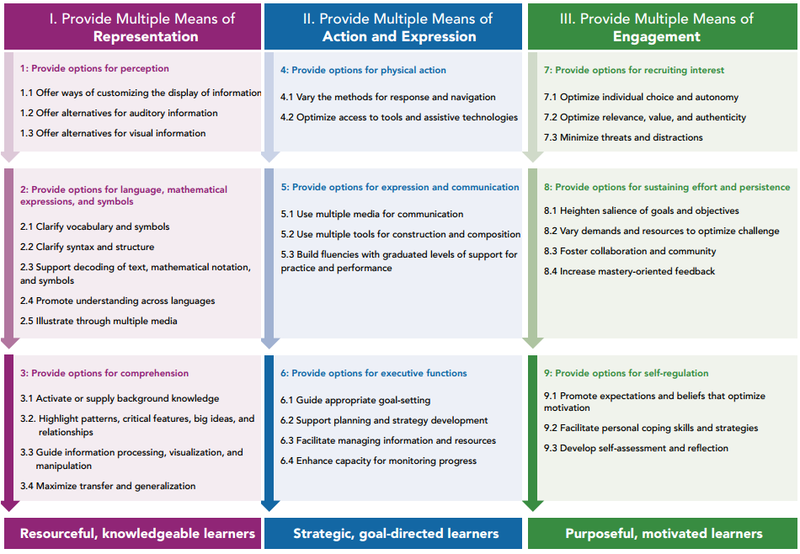 To provide multiple pathways for students action and expression. To provide multiple ways to engage students interest and motivation.